Will be the first Jaguar to sport full-LED headlamps. 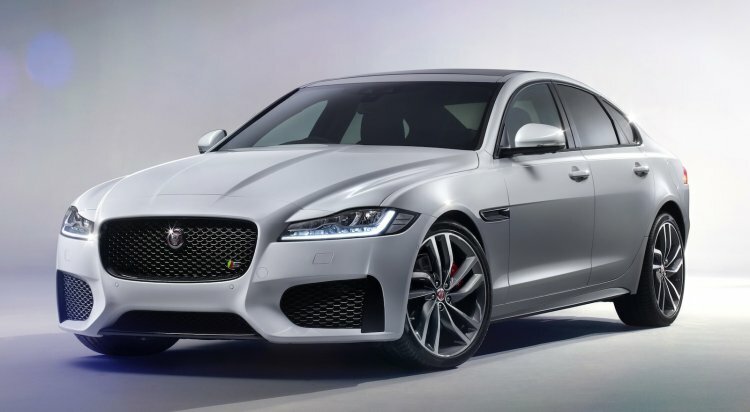 Jaguar today revealed the all-new 2016 Jaguar XF which will be showcased for the first time to the public at the New York Auto Show that opens on April 1. The model, along with the new XE, can be anticipated to reach Indian dealer forecourts next year. 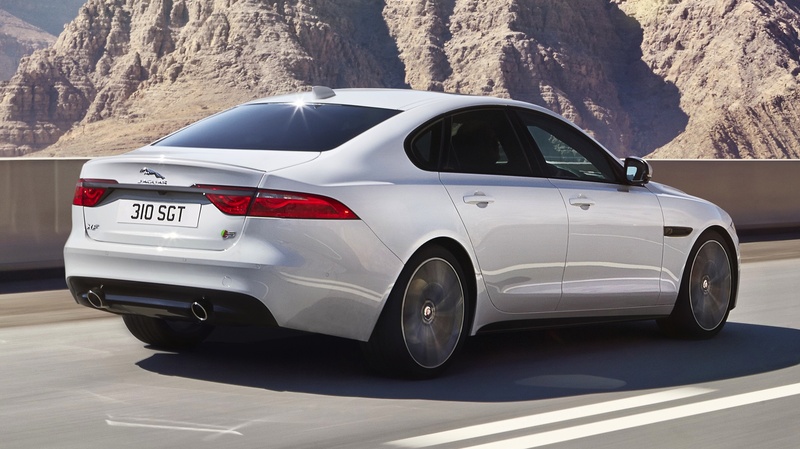 The 2016 Jaguar XF is 190 kg lighter, yet 51 mm longer in wheelbase than the current version. The new XF looks like a maximized XE in some angles, with a 51 mm longer wheelbase than its predecessor for a claimed class-leading rear seat space. In height, the car is 7 mm shorter and sits 3 mm lower to the ground. 75 percentage of the XF's construction is with aluminum which has made it lighter by 190 kg, and torsional stiffness is up by 28%. With a near 50:50 weight distribution, the car is sprung with a double wishbone & Integral Link suspension with standard advanced passive damper technology and optional Adaptive Dynamics system which automatically detects the optimum damper setting. 75 percent of the construction uses aluminium. The coefficient of drag is 0.26. 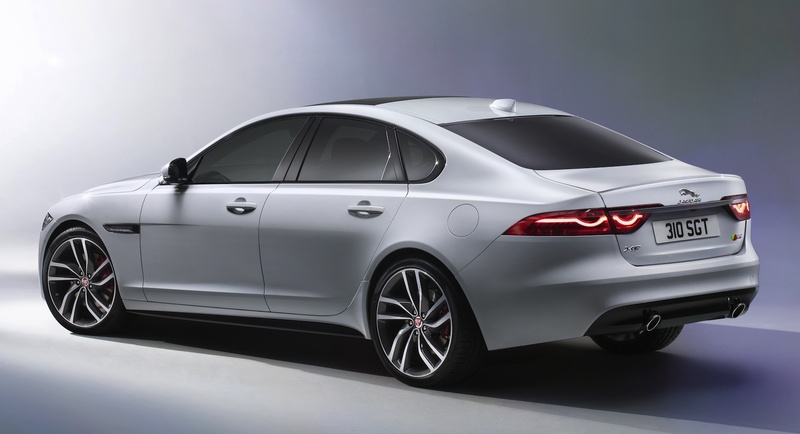 Like the XE, the 2016 XF comes with the 2.0-liter Ingenium diesel engine that develops 163 hp and 380 Nm on the base variant and 180 hp and 430 Nm on the higher variants. A twin-turbocharged diesel 3.0-liter V6 that generates 300 hp and 700 Nm and a 3.0-liter V6 supercharged petrol engine that generates 380 hp and 450 Nm would also be offered. The new XF will come with three engines with the most frugal drivetrain offering a class-leading 24+ km/l, and the most powerful offering 380 hp output. While all engines pair to an 8-speed automatic gearbox, the 2.0-liter Ingenium can also be requested with a 6-speed manual. The most frugal variant in the lineup is the 163 hp diesel manual which can return over 24.78 km/l in the UK with CO2 emissions of 104 g/km to make it the most economical car in its category. Infotainment that runs on a quad-core processor, 12.3-inch instrument cluster and a 825-watt Meridian with 17 speakers fill up the cabin. Features in the cabin are announced as the InControl Touch Pro infotainment system with a 10.2-inch touchscreen that runs on a quad-core processor and equipped with a solid state drive (SSD). Also in store is a reconfigurable 12.3-inch TFT instrument cluster and a 825-watt Meridian surround sound system with 17 speakers. 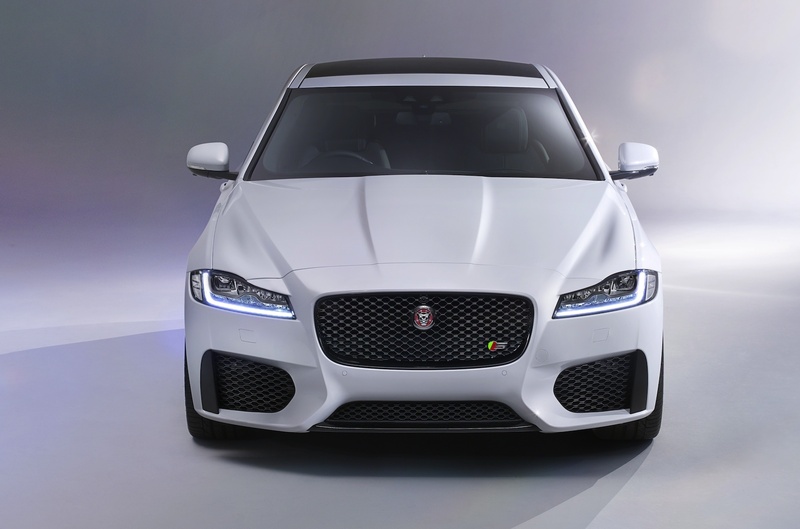 The new XF will be the first Jaguar to come with full-LED headlamps. The new XF makes its public premiere at the NY Auto Show on April 1. 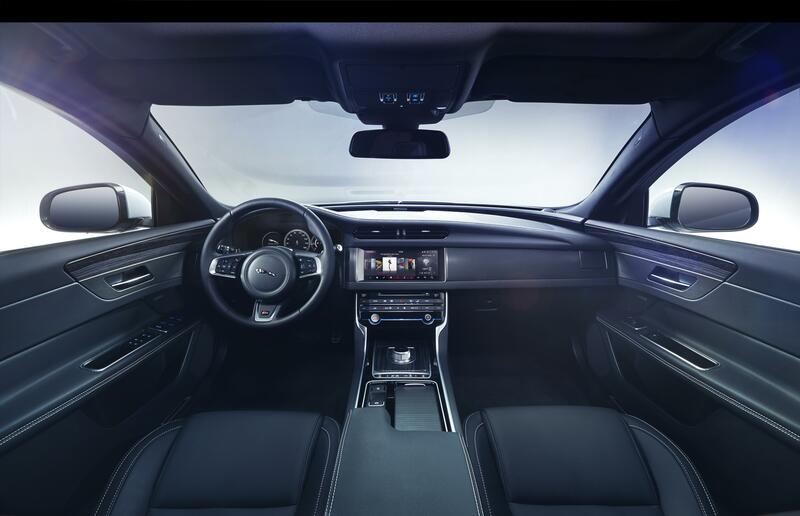 You can find some more info on the Jaguar XF in the press release below the gallery. Full technical details will be available on April 1.